Use the following picture guide to easily change the display on your iPhone & and iPhone & Plus. Make sure that you install the home button from your old display into the new one. 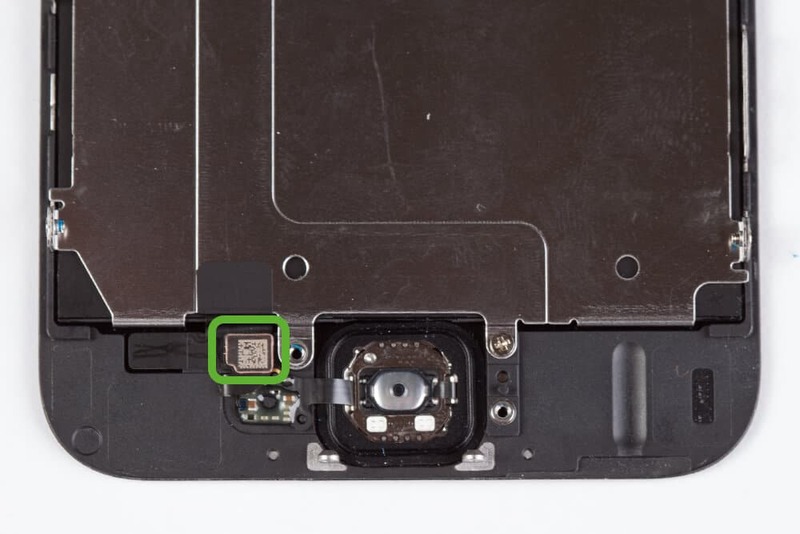 Without your original home button, the fingerprint sensor with touch ID will not work. You should make a backup of your iPhone before changing the display and then turn it off. Lift the screen out of the frame using either the suction cup or the thin metal spatula Which of the two you will use depends largely on the state of your screen. If it’s still mostly uncracked, the suction cup will work just fine. Which tool you use depends on the state of your display. If it is still reasonably intact, the suction cup works very well. 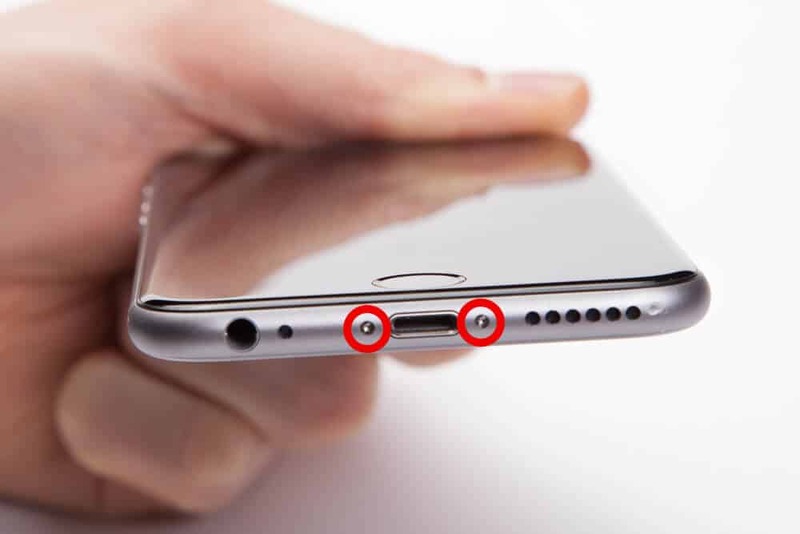 Open the screen just enough so you are able to reach these five screws securing the metal cover. Hidden underneath are four connectors which link the screen to the logic board. Remove them carefully using the plastic spatula. 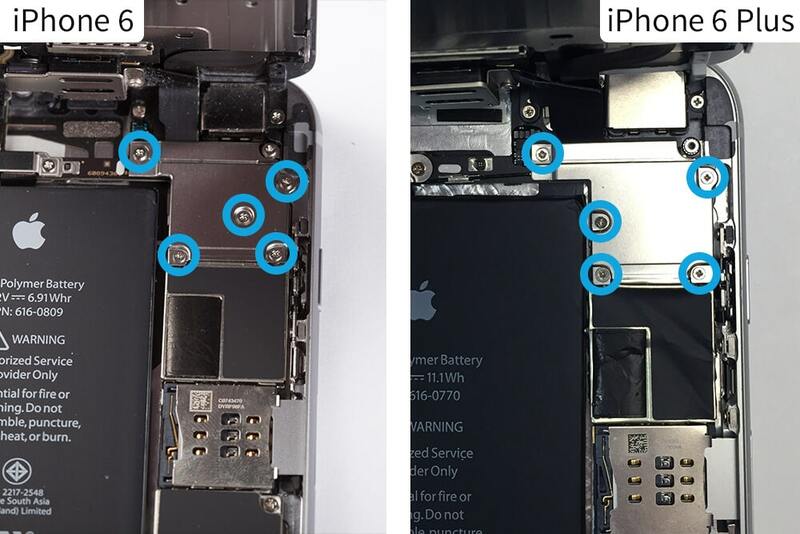 Due to the special bond between Touch ID and the iPhone you will have to continue using your old home button. 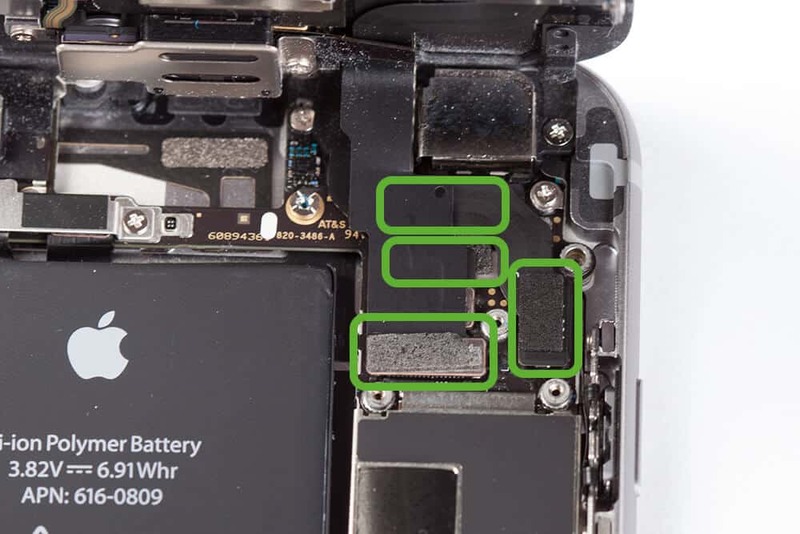 Any replacement button would remove all fingerprint functionality from the phone. Therefore, you have to transfer your home button into the new screen. To do this, you need to loosen these two screws first. Detach the connector on the left. Delicately scrape off the cable using the plastic spatula. It is pretty tough, but be very careful nonetheless! 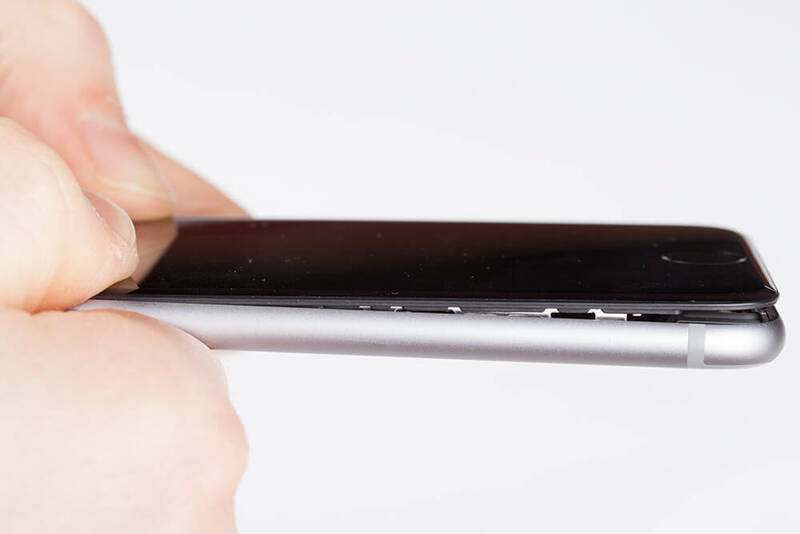 If it is damaged, Touch ID will not work on this phone! 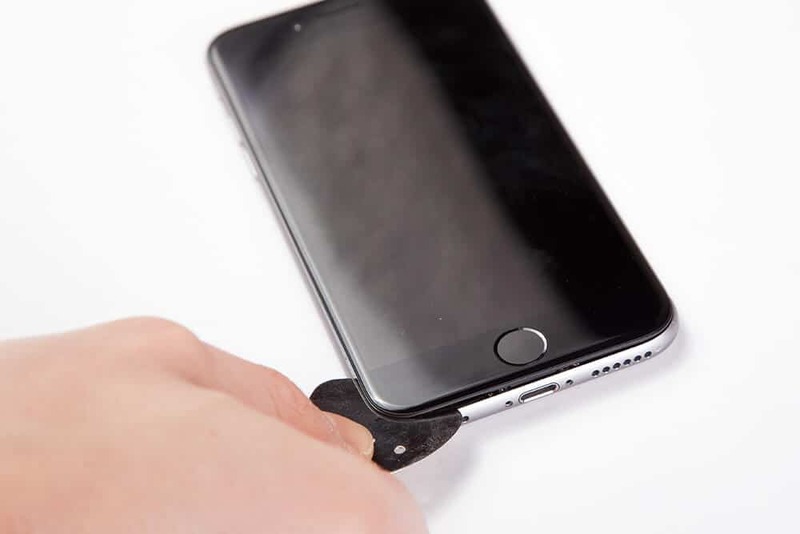 Gently press against the home button from the front of the screen towards the rear until it starts to come off. Now you can remove the whole package — button, cables and all. 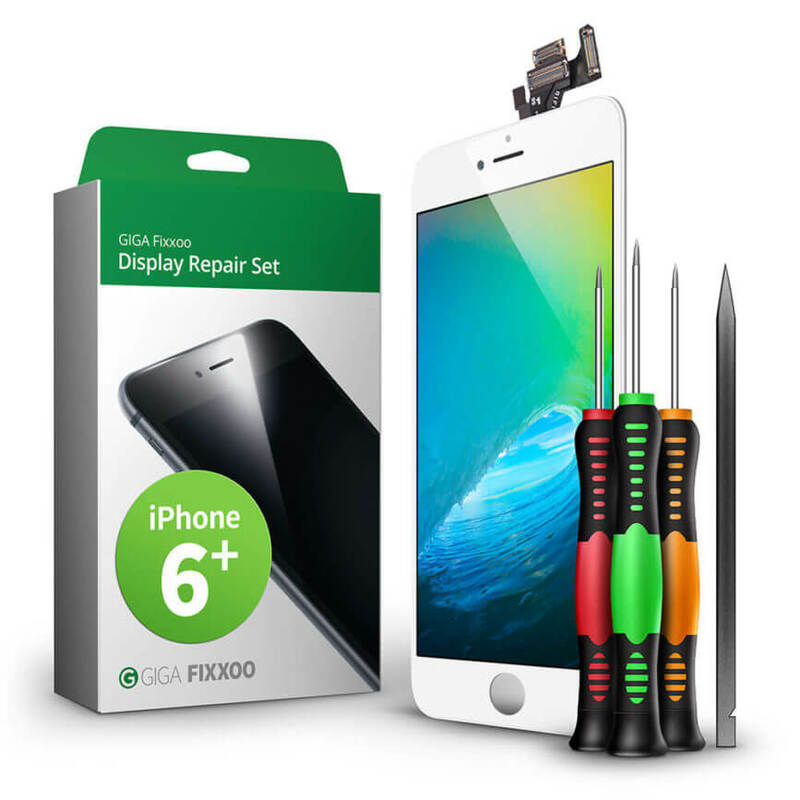 Install the home button into the new display the same way you removed it earlier. Match up the loops with the little nubs on the rear side of the screen. When everything fits nicely, gently press down on the rubber part around the button with the plastic spatula. 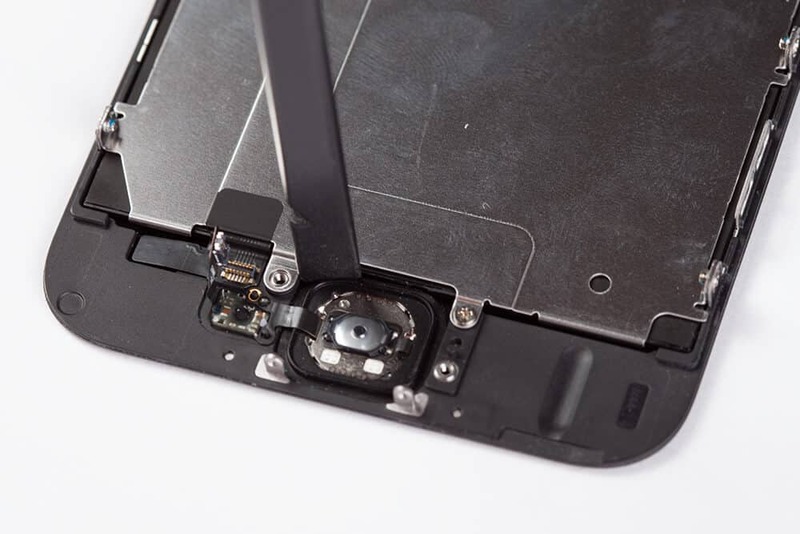 Reattach the connector to the display. 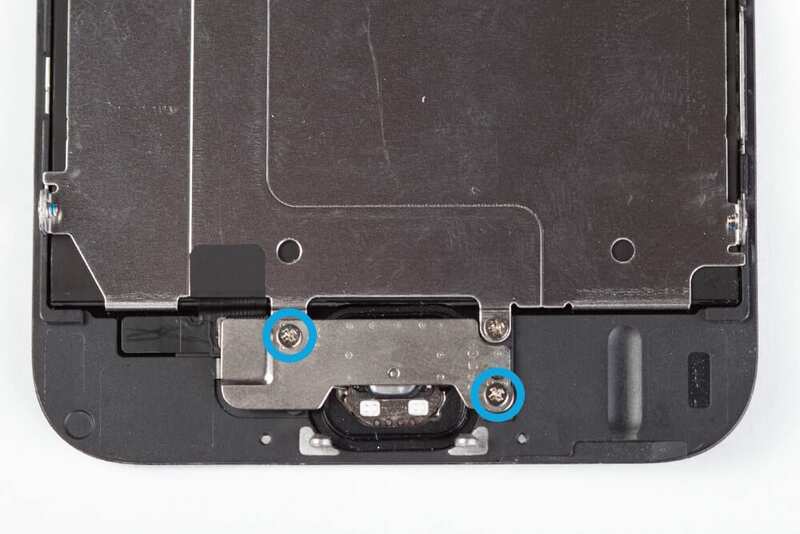 Remove the protective film from the new display and attach these four connectors to the logic board. 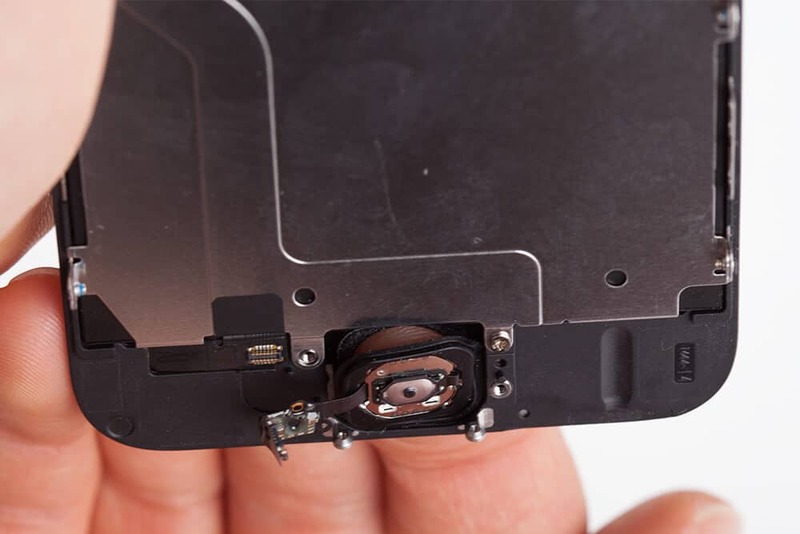 Don’t bend the screen too far back and reattach the metal cover with five screws. Press the screen into the frame of the device. Start at the top near the FaceTime-Camera and work your way down towards the home button. Keep checking if everything is flush and that there are no gaps. Secure everything with the two pentalobe screws.